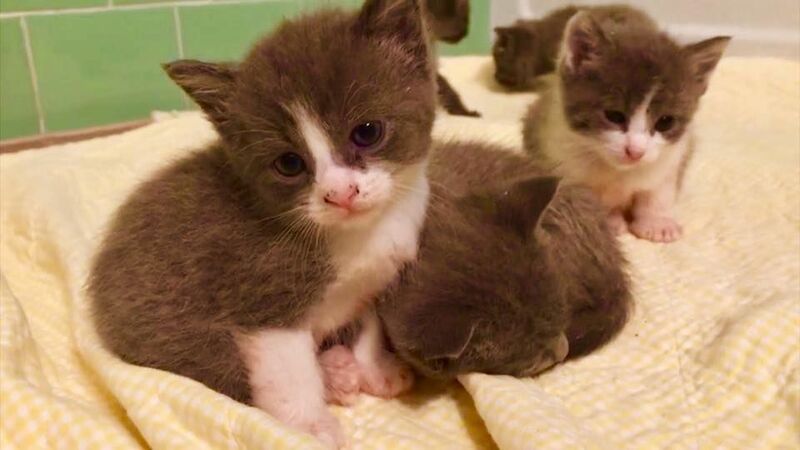 Dubbed the “495 Five,” five little kittens are lucky enough to now be in the care of a local shelter and are in the process of being nursed back to health after being abandoned in a pet carrier at the side of Interstate 495 in Massachusetts near the town of Wrentham. 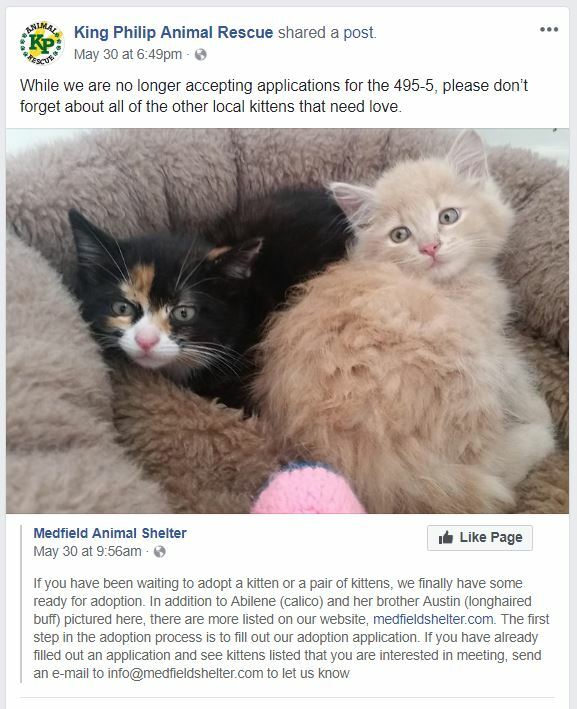 Two independent drivers spied the plastic carrier on the roadside, which was left in the hot sun, temperatures of which were in the 90’s, with one calling Animal Control Officer Chris Wider, the other retrieving the carrier and taking it to the local police station. 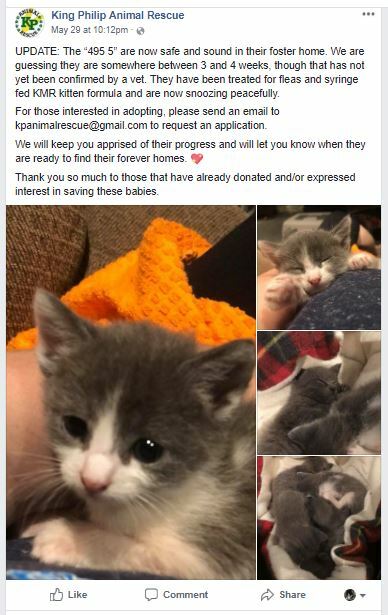 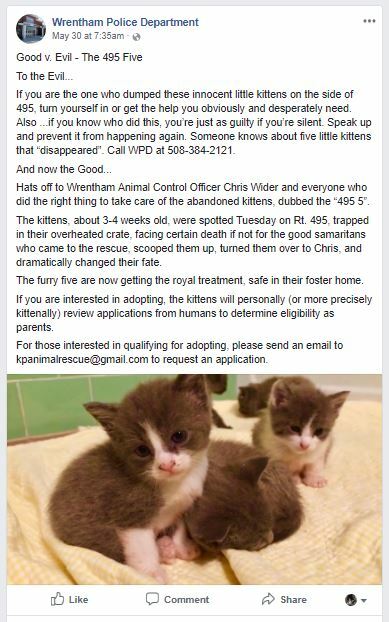 The kittens were then transferred to King Philip Animal Rescue where they are under care. 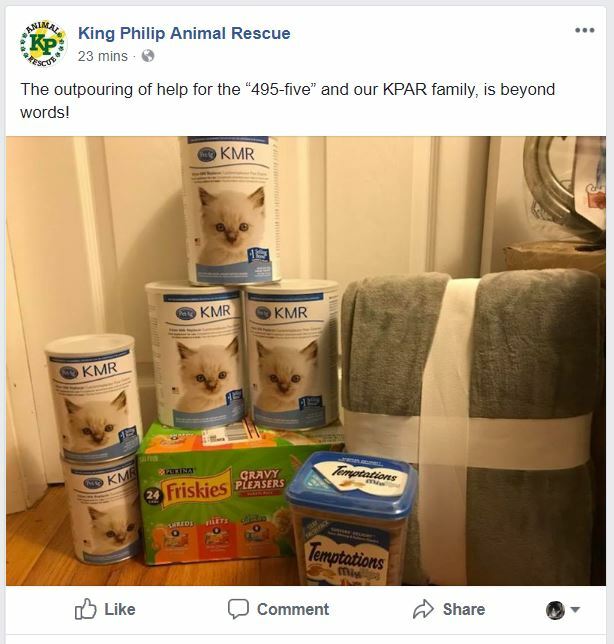 And the community continues to step up! 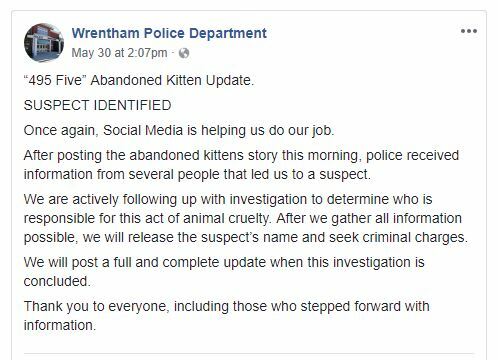 To follow this story, check out the Facebook pages of the Wrentham Police Department and King Phillip Animal Rescue.